• Giveaway sponsored by Minted. 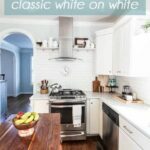 If you are a regular reader or subscriber, then you know I’ve been busy styling our remodeled white kitchen 3 different ways to demonstrate the versatility of a transitional white kitchen. 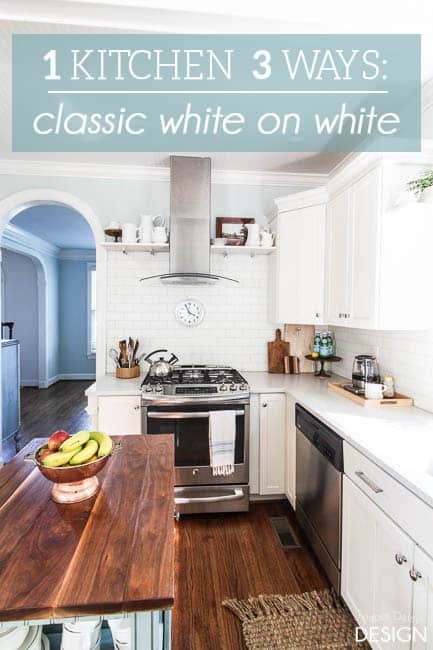 Through simple design changes in art and accessories, each white kitchen has a distinct character, not at all boring white. 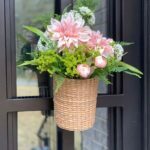 Today I’ve got a little recap, a peek into our everyday family kitchen, for real, and a giveaway to help you refresh your space. With the muted wall color and soft white cabinets all that’s needed to warm up this design is the addition of wood and copper tones. The subtle contrast between the blue-grey walls and the white ironstone keep the room feeling light, fresh, soothing, even monochromatic. 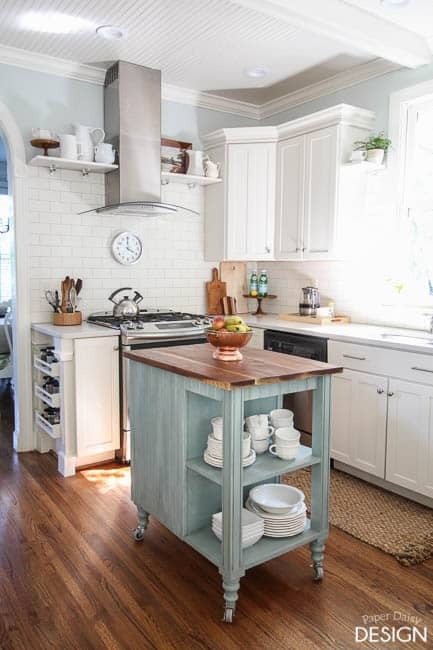 The washed turquoise island, the other constant in the kitchen, adds function, storage and injects just the right amount of color to keeps the room cozy. 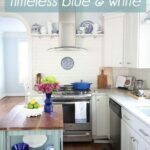 The second kitchen style features one of my favorite color combos, The Timeless Blue and White. 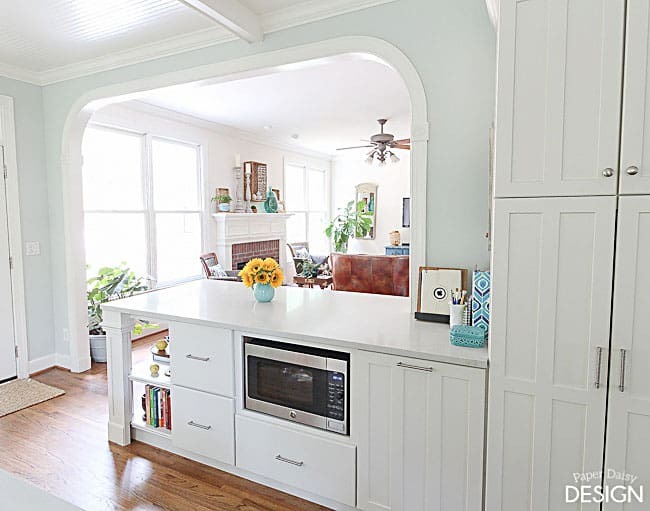 I must admit this version of the white kitchen almost stole my heart. I started collecting blue and white pieces over the last year. At a garage sale early this summer I was lucky and blessed to acquire a good haul of plates and saucers in my favorite pattern. 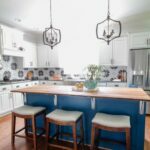 The striking cobalt blue creates a stunning contrast in this look, while not overpowering the classic details like the marble inspired quartz countertops and the clean lines of shaker cabinets. 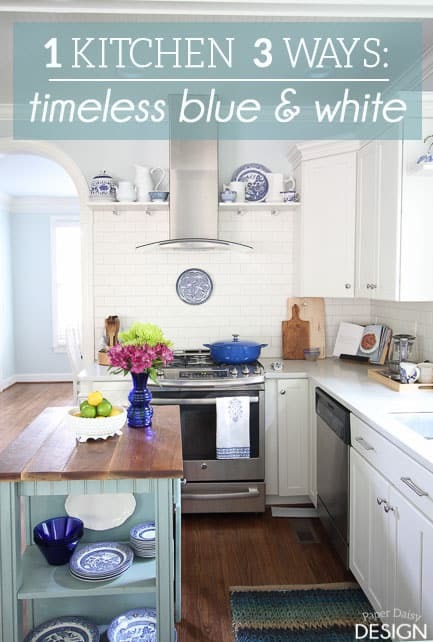 To see more views of this Timeless Blue and White Styled Kitchen HERE. 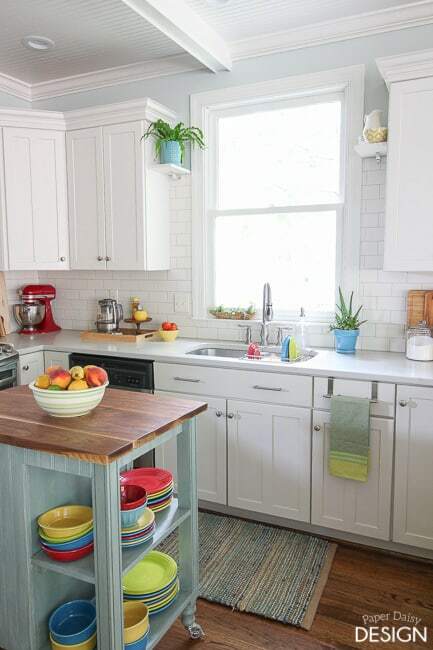 The third kitchen gets bold pops of color from it’s Fiestaware inspired color palette. I called it the Radiant Colors. 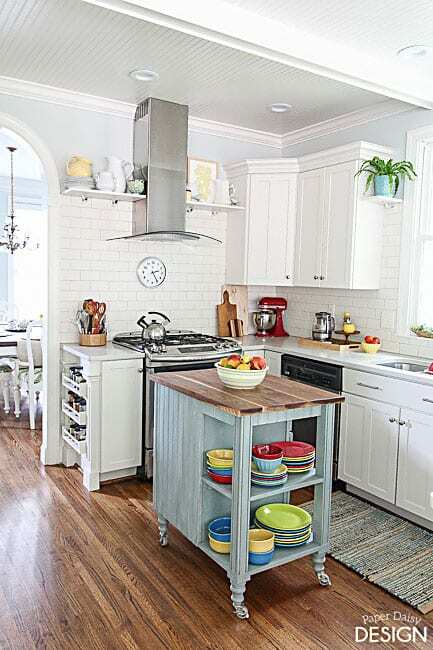 The wood accents ground the playful pops of color in this kitchen. Again, you’ll notice just a subtle shift in the pieces on the open shelves transform the look. 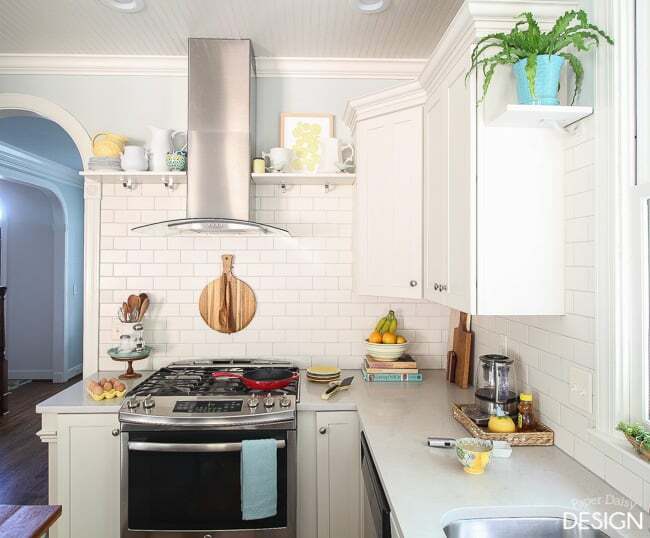 Check out this bright kitchen styled for a happy morning by clicking HERE. Secrets about me and the design, too. I hope you enjoyed this unique way of revealing our remodeled kitchen. 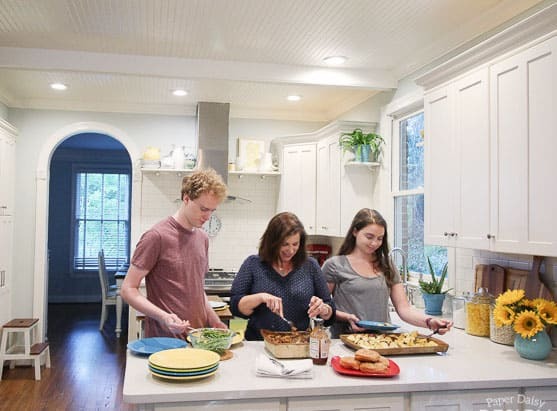 In each post, I shared notable characteristics about the design and all the the little details that transformed this once dark and drab kitchen. Be sure to see them all. 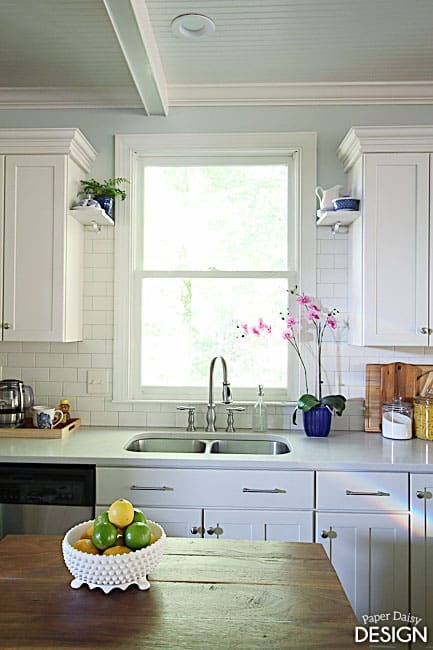 The core design of each kitchen remained the same, but the overall feel of the space varied, just like me. I find it difficult to pigeon hole myself in just one design style. 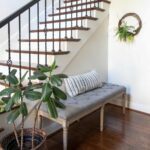 When interiors are done well, whether it’s traditional, transitional, modern or bohemian, I appreciate the individual qualities that inspire me. If I love the look of a space, I often find myself longing to step inside. Hopefully, you’ve found one version of the kitchen that spoke to you in the same way. So, now I’m sure you are wondering what does my kitchen look like everyday? Well, take a look. 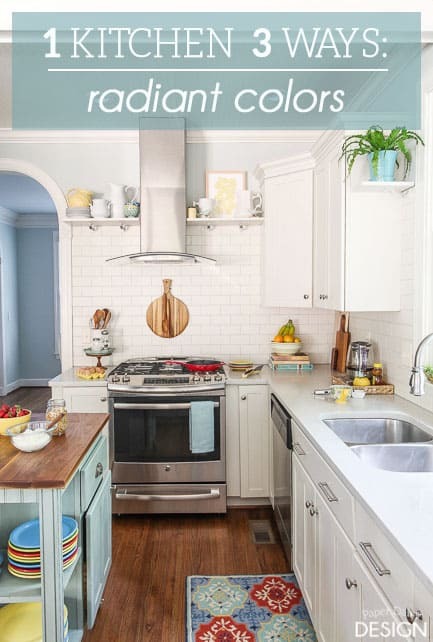 It’s not much different from the Radiant Colors Kitchen. The choice was easy, it’s bright, happy and the Fiestaware dishes are what we use everyday. There were a few changes made to the counters. 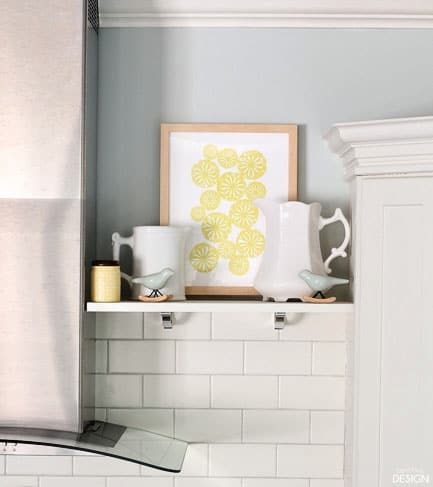 The addition of practical items like a large kitchen tool caddy and mixer add much needed function next to the stove and the main food prep areas. And there’s almost always a few clean dishes in the sink or on the counter waiting for the angels to dry them. My dear hubby is the angel that washes the evening dishes. I cook, he does the dishes. It’s a good deal. I also switched out the rug from the previous version. 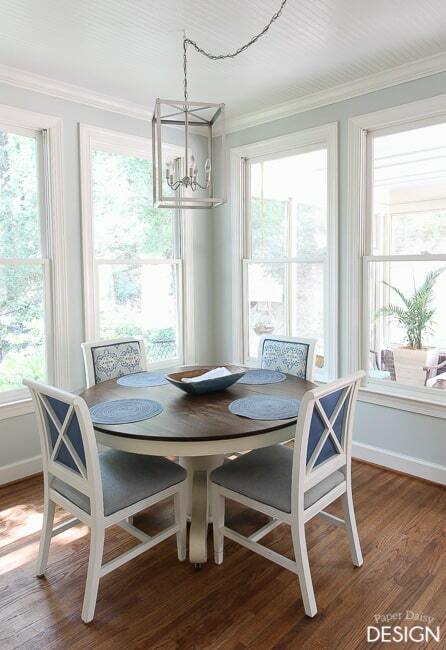 Actually, it’s the same rug from the Timeless Blue and White kitchen, just flipped upside down. I preferred the more subtle colors and the texture. The great thing about this compromise, is if I happen to score some cereal bowls to go with the “new” blue and white plates, I can move them to the cart and use them everyday and turn the rug right side up. I’m a bit of a candle fanatic. I burn one for several hours after dinner each night. While I love to cook, I’m ready for the smell of dinner to go away after we’ve eaten. On a daily basis, I keep placemats on the table. Having them there keeps me from wiping down the table after each meal and extends the life of the finish. We also keep this dough bowl in the center for our everyday napkins. 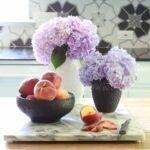 And remember those fresh flowers from each version of the kitchen? 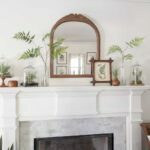 When I do purchase my favorite supermarket bunches, I usually place them here on the peninsula we created when we removed a portion of the wall between the kitchen and the living room. And this is us, well me and our teenagers in our kitchen. On any given night you will find us gathered at the heart of the kitchen serving dinner, buffet style. Most of the items you see in the spaces have been collected over time, shifted and restyled. I did make a few new selections for this shelf. This cheerful print and frame are from Minted Art. It’s called Sliced Citrus and comes in several color options. Great for customizing your space with just the right pop of color! Minted is my favorite resource for high-quality prints and limited edition works. They are no longer just a resource for custom cards and stationery. Good luck and thank you for reading and following along. Thanks, to Minted for this giveaway and for the print I was gifted. 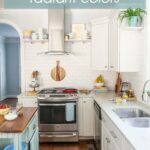 I have been a fan of blue and white for a long time so the blue and white kitchen is my favorite, but they are all beautiful!!! So glad you were inspired! Good luck with your new kitchen! 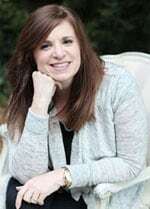 From Minted I would choose Heron’s Nest! 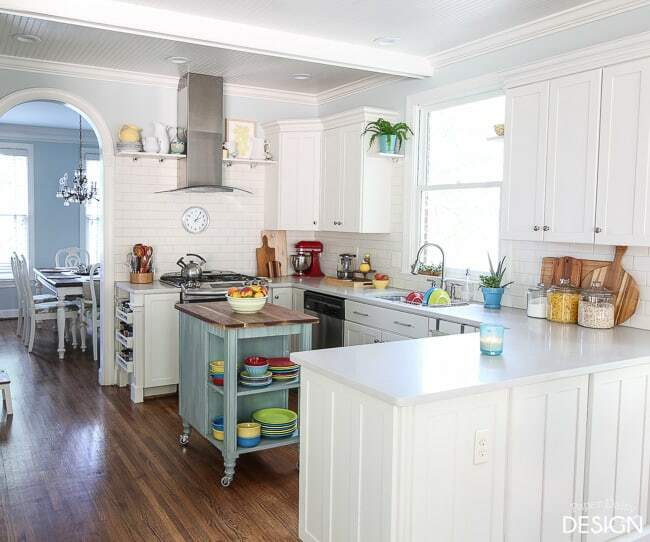 Love the blue and white kitchen. My all time favorite! I actually have the Heron’s Nest print as well and it is stunning! I loved the blue and white too! Oh my goodness, I’ve been eyeing the Big Country Sky print from there for forever! Great giveaway. Thanks! I really like the Sunset Study print. It is beautiful and when I look at it I just can’t help but feel calm. This would be great to put up in my apartment. shadow in a storm is beautiful! It’s a toss up between the radiant and the cobalt. I am just a huge fan fan of an abundance of colors and I love blue. All three are beautiful. I might choose Vintage Books. So hard to choose! But it would be between the ‘Flutter Watercolor,’ the ‘Hummingbird,’ or the ‘Roof Party’ print. I would choose the Open Door photography print. Tough choice, but right now I’m leaning toward the Ombre Waves print. The vibrant colors is fun isn’t it. I enjoy the brightness, I love color and I like that it’s kind of unique looking. I really like the foil pressed designs. I would pick one of the loved themed ones for our bedroom. The “I Love You That Is All” design is one of my favorites. Such a tough choice! I love “dark florals no. 1”. Soooo many wonderful choices! I think I’d have to go with “Flawed Beauty”. It speaks to me in a way…that even as humans our every day wear and tear, like the painting, makes us into the beauty that we resonate. There are so many that I like. I can’t decide on one in particular right now. I love the horse print A shadow in the Storm beautiful…. Perhaps I would choose Meandering. It is quite lovely. I love the heron’s nest art print. I would choose the Billow print! Lets Go is my favorite. I like the Sliced Citrus or Green Apples. It’s so hard to choose! But I love the Ombre Waves print of ocean waves. There are so many but I like the one Indygo.. I would choose something like the Deep Evening print. If I win, I would love to get the Let’s Go limited edition print by SylvieCeres Designs! Thanks for the chance at this awesome giveaway!